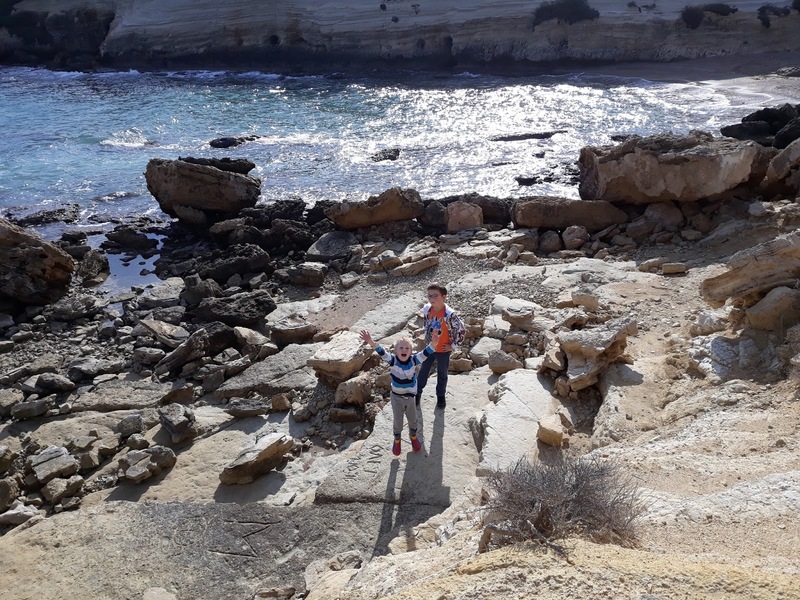 I love going for winter walks in Cyprus, it's something we have so rarely done yet when I do bother to get out its' great, especially now everyone can walk (well, Aaron not so much at the moment but we can leave him at home!) and generally not fall over. 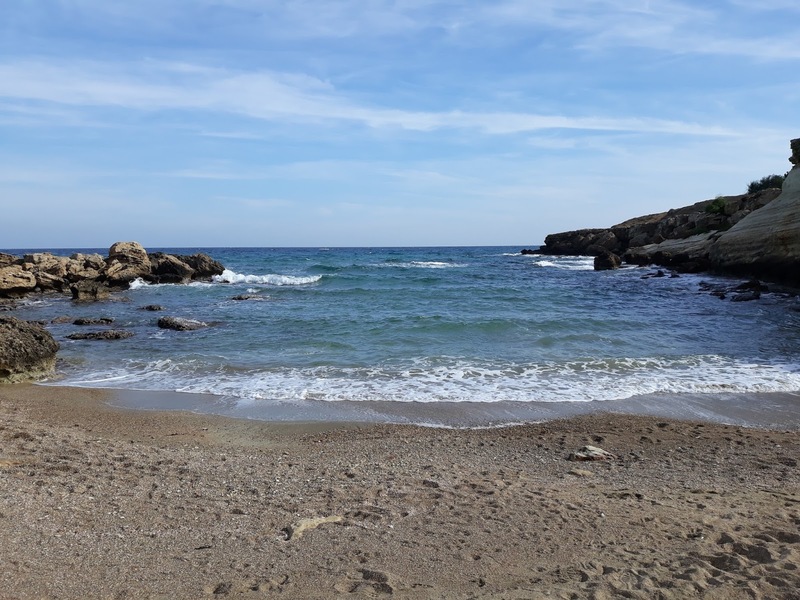 We went out during Christmas week and had a lovely walk along the cliffs in Kapparis and some time on the beach. It was very warm, despite it feeling chilly at home and I even took my fleece off and sat in a short sleeved t-shirt! While sitting on the beach watching the boys compete to throw rocks the furthest into the water I thought how amazing it was to be there, in December and how it was better than being indoors. Louka had not wanted to go out when it was first suggested, moaning first about getting dressed, then having to put on shoes etc, I tried to be encouraging and eventually gave up and said' just get in the car, we're going out and you'll enjoy it once we're there'. Leo wasn't overly enthusiastic but just went along with the idea. 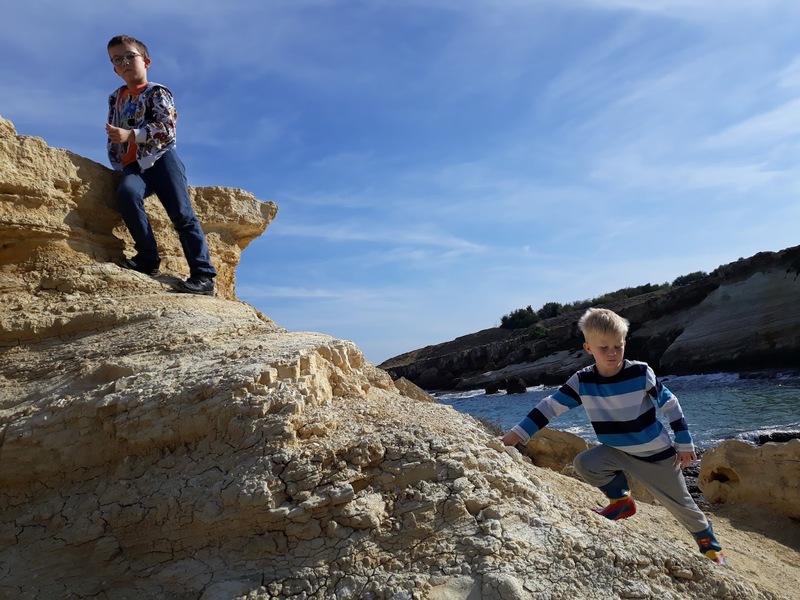 They both enjoyed 'adventuring' - more fun than merely going for a walk. We weren't out that long, as walking is not really their thing and they've not got to have walked far before they are 'soooooo tired' and the moaning kind of outweighs any joy gleamed from being out and about, but it's a start! So, note to self, don't forget to get out more!